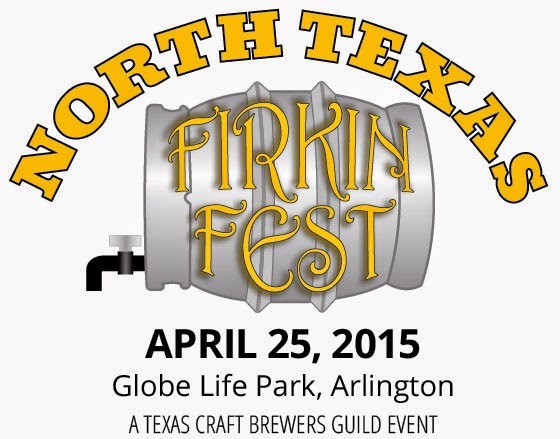 The Texas Craft Brewers Guild is heading up a fantastic event in North Texas, the first annual North Texas Firkin Fest on April 25 at Globe Life Park in Arlington. 'What the firk is a firkin?' you may be asking yourself. 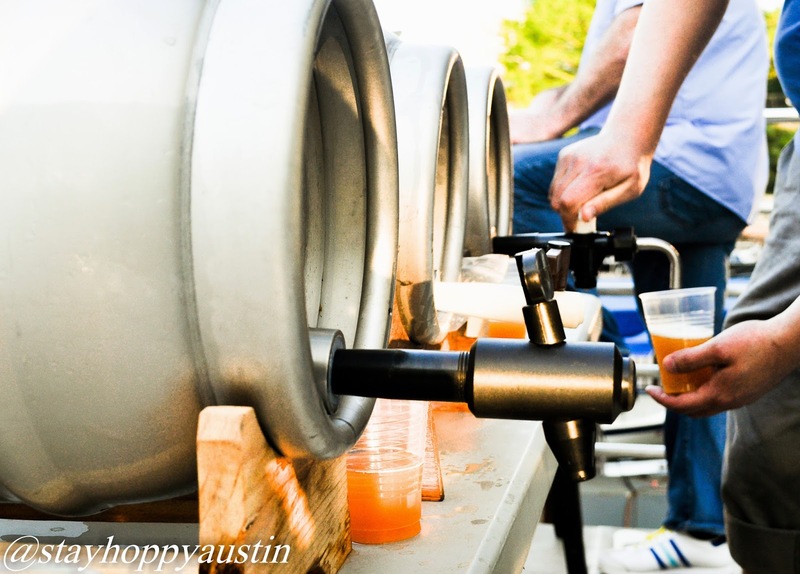 Put simply, a firkin is a vessel in which unfiltered and unpasteurized beer has been allowed to re-ferment and carbonate naturally without the use of artificial CO2. This process gives the beer a more subtle and creamy (sometimes flat) mouth feel. The firkin is also a great tool for creativity, allowing additional ingredients to be added to further (sometimes obliterate) the complexity of the beer. For a more thorough look at firkins and real ale, check this old post I did and the opinions around adding additional ingredients to the firkin. The subtle nuances of this 'Real Ale' has been revered over by beer enthusiasts for centuries, and now you have a chance to experience it too. Just check out the beer list below (more to come), and make sure to clear your calendar for this one. Cheers! Description: A traditional English Style Ale at its best! Public Ale ESB has won back to back Gold medals at the GABF in '13 and '14, and we've created an even more unique version with this firkin. Dry hopped with East Kent Golding (EKG) hops to produce a slightly hoppier finish highlighting earthy, spicy, herbal and piney notes. This beer features a 100 English grain bill festering Maris Otter and Crystal malts, and is known for its well roundedness and balanced drinkability. Description: Black as Texas crude, our Russian-Style Imperial Stout allures with its thick, tan head and aromas of bittersweet cocoa and roasted malt. Twelve different malts compose the grist of this beer, adding layers of complexity and significant alcohol content. We've taken this huge stout and aged it on organic blackberries to increase the depth of flavor and add a sweeter, fruity component complimenting the roasted chocolate and coffee flavors of the base beer! Description: What we have here is a cask of our Oatmeal Pale Ale. We dry hopped it with El Dorado and Simcoe. We wrote a Haiku in it's honor. Description: This is a cask iteration of our Oak Cliff Coffee Ale. This one is "Venti" if you will. We added another generous dose of coffee and some rum infused cinnamon sticks, the rum courtesy of Witherspoon Distillery in Lewisville, Texas. Yeah...it's pretty epic. Description: We have taken our Tastings.com World Beer Championships Gold Medal Rapture Fusion Brown Ale and cask conditioned it with Mystical Coffee’s Ethiopian Coffee, adding rich, complex coffee flavors to an already amazing Brown Ale. Description: Another Tastings.com World Beer Championships Gold Medal was awarded to our 10/6 English Pale Ale. We have cask conditioned this English style beer with Simcoe hops, which adds a distinctive American grapefruit and pine note to the aroma of this traditional hoppy English brew. Description: A big day deserves a big beer so we are pleased to introduce our 19th Anniversary Baltic Porter. A relatively obscure sub-style of porter, this imposing brew honors the roots of its heritage. Like its English counterparts, it is malt forward with the focus on dark malt character. Our porter is a heartier brew like the inspirational beers of the Baltic region. Join us in celebration and discovery with this robust ale. Description: Full moons in the Hill Country are legendary. People literally write songs about them. And Downtown Blanco illuminated by a full moon? Unforgettable. Inspired by that striking view, Full Moon is a new take on our original flagship beer. Malted rye and barley are complemented by generous helpings of Simcoe and Citra hops, resulting in a bold, full-bodied American IPA. Casks have been conditioned with an additional dryhop of Citra for a bright orange and tropical hop aroma and flavor. Description: This Divine Reserve was inspired by the winning entry of the 2007 Big Batch Brew Bash homebrew competition, brewed by Mike Heniff, a highly decorated local Houston homebrewer. Russian Imperial Stouts are very big and very black and this one is no exception. Description: The beer pours a bright golden color. The nose is a mixture of phenolics from the Belgian wit yeast and light citrus from the American hops with a touch of graininess. Rye adds sweetness and complexity to the pilsner and aromatic malts. The spice of the rye is somewhat subdued at lower temperatures but becomes more apparent as the beer warms.